Growing up in rural Central Texas, Christmas Eve was the best day of the entire year. The day was spent in anticipation. Tradition dictated that supper must be eaten, kitchen cleaned and it be dark before gifts could be opened. We didn't have a lot of money, but my mother always made Christmas special. Of course, she did all the shopping and tried her best to get what I thought I would die if I didn't get for Christmas. My father was not one to celebrate special occasions. He never bought gifts for birthdays, Christmas, etc except for those in his employ. One particular year comes to mind that broke all the rules so to speak. I have no idea what was unwrapped on Christmas Eve, but we continued the tradition of driving around town to enjoy the decorations on the town square as well as the houses that could afford to put up lights and outside decorations. This was always a special treat to continue our family Christmas Eve tradition. Back home, the mess made from unwrapping was cleaned up as my mom and I enjoyed hot chocolate. Then, bath and to bed early for Santa to arrive. Christmas morning was when Santa left those gifts that were not given on Christmas Eve. Usually that one BIG gift that was hoped for would appear by magic overnight under the tree. One particular Christmas morning still stands out in my mind. I have no idea what Santa left except for the two tiny packages hidden in the boughs of the Christmas tree. Simply wrapped, no ribbons or bows and no gift tags. I found them and my dad quickly took them for inspection. There were strange markings that indicated they were for my mother. Everyone was surprised and no one would confess where these gifts came from … except Santa. That year, my dad broke tradition and bought my mom a new diamond wedding band and a new watch. This never happened again, but that is what makes days like that special. Funny how things like this change in tradition stick with me after all the years. None of the other gifts can be remembered, but these two were definitely in my mind forever. 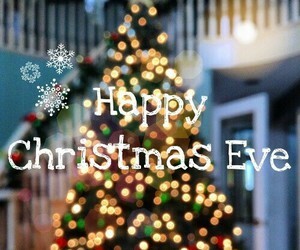 My wish for you this Christmas Eve is peace, joy, and happiness, but most of all I wish you Love. Hold those you love close, tell them often because you never know when you will not have them in your life…do not take them or their love for granted. A twitter friend of mine created a 'new' genre of micro poetry he calls 'definition poetry.' He challenged me to try my hand at writing a few … below are what I have done in the past few days. My continued journey with writing.